With prices for good homes lingering within reasonable ranges, many consumers are considering buying a home. Maybe you are among the potential buyers looking for a first home, thinking about a larger home for a growing family, or planning for a retirement home. With interest rates remaining at low levels, other consumers are considering refinancing their mortgage to reduce payments or, perhaps, to pay off the loan sooner. Spend a few hours to learn the details and facts about mortgage options that could save you thousands of dollars over the years. Mortgage lenders—from the excellent to the not-so-good—have multiple mortgage loan products to meet this demand. If you are in the market for a new mortgage or a refinance of your current mortgage, what do you need to know to make the best decision for your circumstances? This report offers some tips to help you review options and determine the answers right for you. With the continuing recovery of the housing market, deceptive and misleading ads for mortgage products stream out to consumers through all types of media—direct mail, email, websites, phone calls, TV ads, and social media. Military veterans and older adults appear to be particularly targeted, according to the U.S. Consumer Financial Protection Bureau (CFPB) and the Federal Trade Commission (FTC). But almost every household will have received one or more of these deceptive offers. In late November, the CFPB and FTC sent warning letters to a number of companies issuing such misleading and illegal ads. The FTC and CFPB also issued consumer advisories about how to spot illegal ads. In my opinion, some of the worst offenders design their ads to look like they are "official" notices from a government agency or company connected with your current mortgage. Take a look below at the mock-up mailer below (prepared by the FTC). There's a large-type government reference but only a very small type disclaimer noting that the advertised loan and company has no connection with the government. Click here to see the FTC's mockup of website and print ads also. Any images, symbols or statements suggesting the lender is affiliated with a government agency. Claims of very low "fixed" interest rates, with no reference to important loan terms. Assertions that loan approval is "guaranteed." Promises of "very low" monthly payments with no reference to significant conditions related to the offer. Do you know the differences between various mortgage loans—such as "fixed" and "adjustable" rate loans? Do you know the potential pros and cons of each for your situation? Are you familiar with mortgage loan lingo? (For instance, the difference between "interest rate" and "APR"?). Do you know all the items that may be included in "closing costs"? The StraightTalk Mortgage Guide quickly reviews the facts about mortgages that you need to know. You can work through the guide in 30 to 60 minutes. I suggest that you make notes about additional questions you may have, then make an appointment with your credit union advisor to review them. Over the years, credit unions have established a history of offering highly competitive mortgage loans and superior customer service. Because credit unions are member-owned, member financial well-being is a primary goal. For these reasons, I recommend that you begin comparing mortgage options by first exploring options offered by your credit union. The "Mortgage Shopping Worksheet" from the Federal Trade Commission Guide "Looking for the Best Mortgage" may help identify facts you want to gather from the credit union website and/or a phone call. You can then use this worksheet to compare options from other potential sources. Remember to compare important details beyond interest rates like fees and closing costs—that's where many lenders make more money while your credit union shines. A home is the biggest investment most people make. So it makes sense to spend a few hours to learn the details and facts about mortgage options that could save you thousands of dollars over the years. This approach works whether your goal is a new mortgage or a refinance. You can start now by going to the StraightTalk Mortgage Guide. Know Before You Owe from the Consumer Financial Protection Bureau. 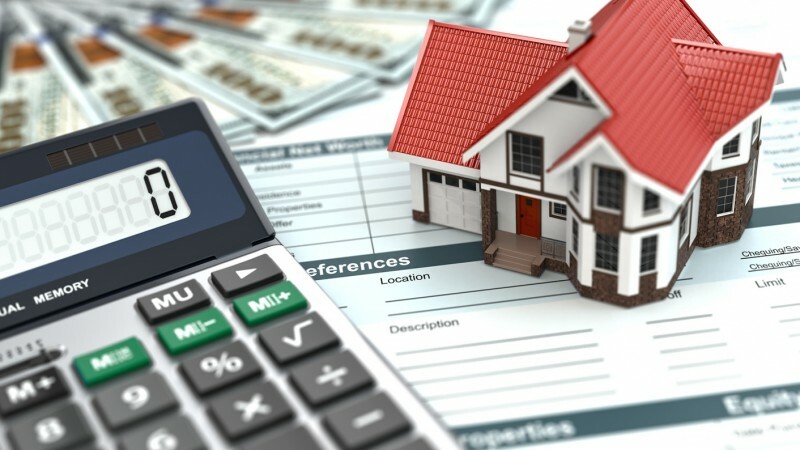 Congress has directed the CFPB to create single new disclosure forms to replace 1) the 2 forms consumers receive when they apply for a mortgage and 2) the 2 forms they receive at closing. These clearer forms are not yet law but you may find them useful as you example current documents you receive when you apply for and/or close a mortgage loan.